The Yamasaki TT1315 Fiber Optic Talk Set is designed to achieve crystal clear, full duplex, hands-free communication over any spare singlemode fiber optic cable. 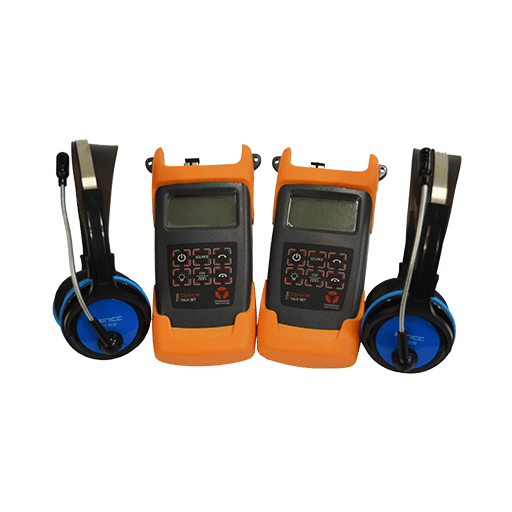 Sold as a two pack, these talk sets give fiber optic installers and technicians a reliable and cost effective solution to communicate over long distances for a long period of time, whereas RF devices can often be a costly and ineffective option. 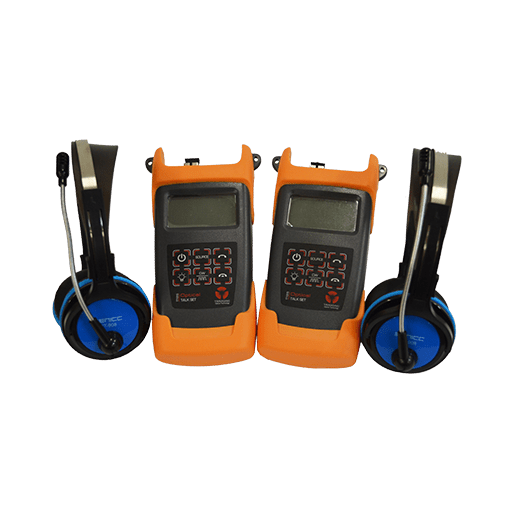 The Yamasaki TT1315 Fiber Optic Talk Set is a breeze to use with a simple menu system, automatic call detection, user-selectable back light, flip-out stand and comfortable headset. Accepts 250 μm , 900 μm Coated Fiber, 2mm and 3mm Jacketed Fiber Cable. Identified Wavelengths: 800 – 1700nm.